After taking the Cable Car up the surrounding hills, the sheer view of the valley is breathtaking, and not just in your typical city-scape way either. 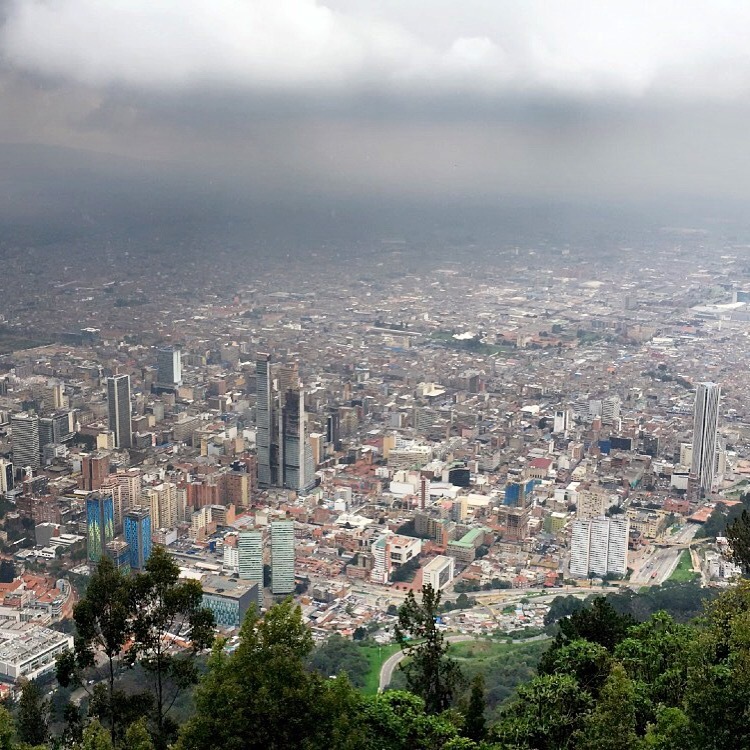 With your head literally in the clouds, Bogota looks, for want of a better description, toy-like. You could be staring at an oil-paining and from this high up and you wouldn´t know anything other. On information that the actual view you see with the human eye from this height is in fact only 10% of the sprawling city which eventually merges into the distant mountains, the impact is stronger and the sheer size of this place is itself impressive. How we´re supposed to explore it all in a couple of days is questionable, but that´s travelling for you! The afternoon in Bogota also brought rain. And it doesn´t seem to rain here, it pours. After wondering around the Gold Museum for a while in shelter (although educational, these kind of museums are often wasted on my 30 minute attention span) we decided to cancel our walking tour for a brighter day, and the adgenda quickly turned to finding some great eats (and drinks)! 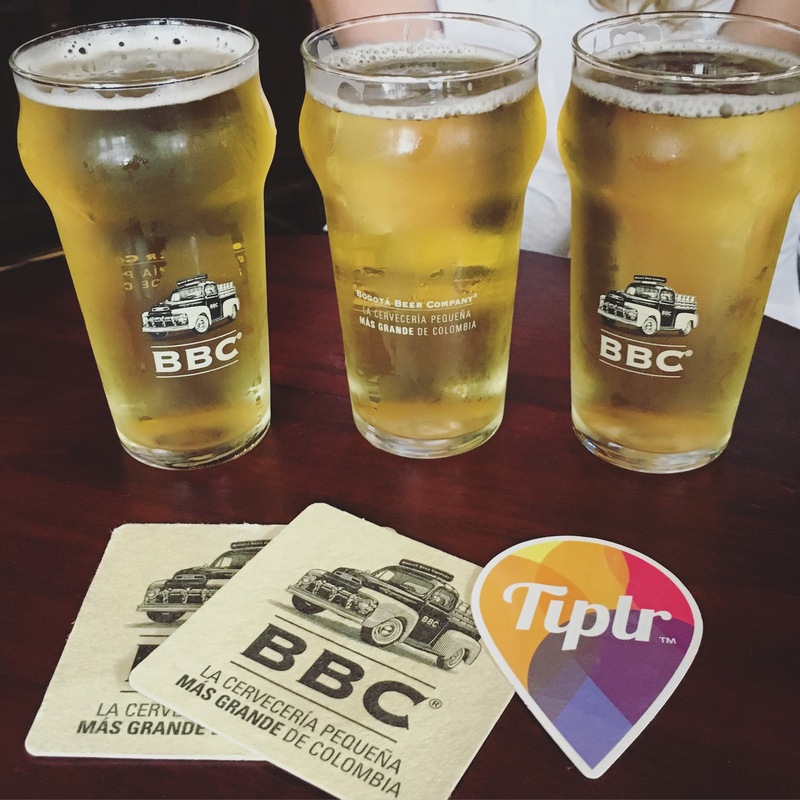 Travelling with a group of girls who are lead with their stomachs, Tiplr will not be short of great food and watering holes across Colombia so watch this space if you´re at all a foodie! We suceeded in the hunt, and spent the afternoon in arguabley the best bar for knock-off drinks in Bogota. A grave claim after less than 24 hours here, but the popularity of this bolt-hole brewery was right up our street (quite literally a stones throw from our Hostel, another one I´d recommend, The Crank Croc) the Bogota Beer Company was a little bit of home, with a South American twist. 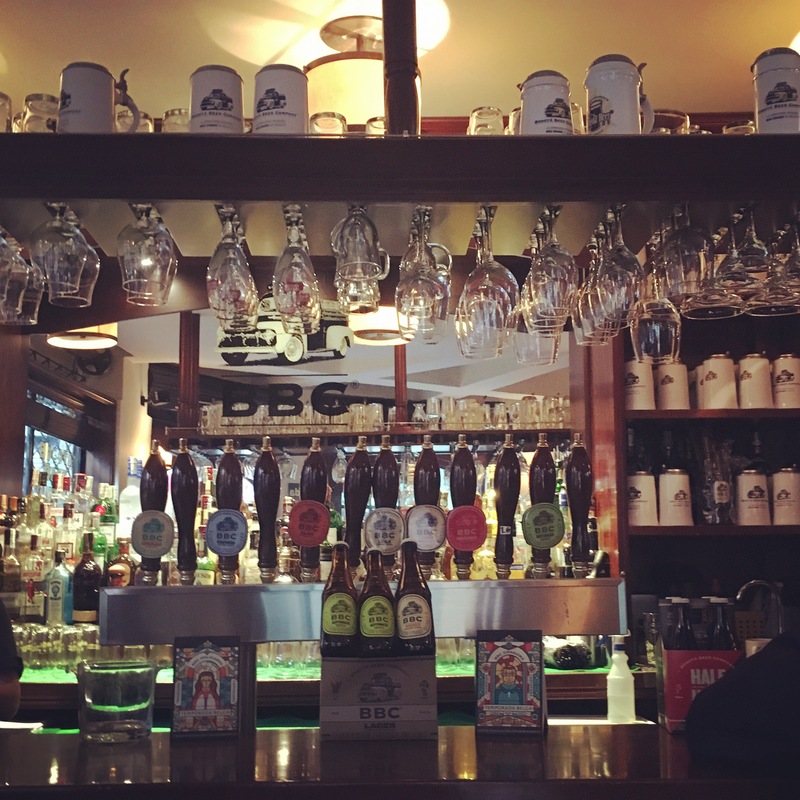 I´m not one to buy into fads, and I know “ale” is the new in-thing to drink, especially in British Pub Culture, but I adore the fact that independant brewerys seem to be popping up worldwide and not just in old London pubs in Chelsea! And let´s face it, the beer is great! So Tiplr Tip of the day: Hipsters Rejoice and head to BBC, where the pale ale is a pound a pint (2USD) and tastes great after treking in the smog all afternoon! Our evening plans are up in arms, the choice between heading out and experiencing a nightlife phonomena the students here call Gringo Tuesdays (I think I prefer this Hashtag to our usual, Travel Tuesday) and waking early to attempt the walking tour again is a difficult decision, probably heading only one way after the late afternoon beers but, well, when in Rome… Must dash, the hostel have lit an inviting bonfire in the bar! Happy Tuesday everyone!